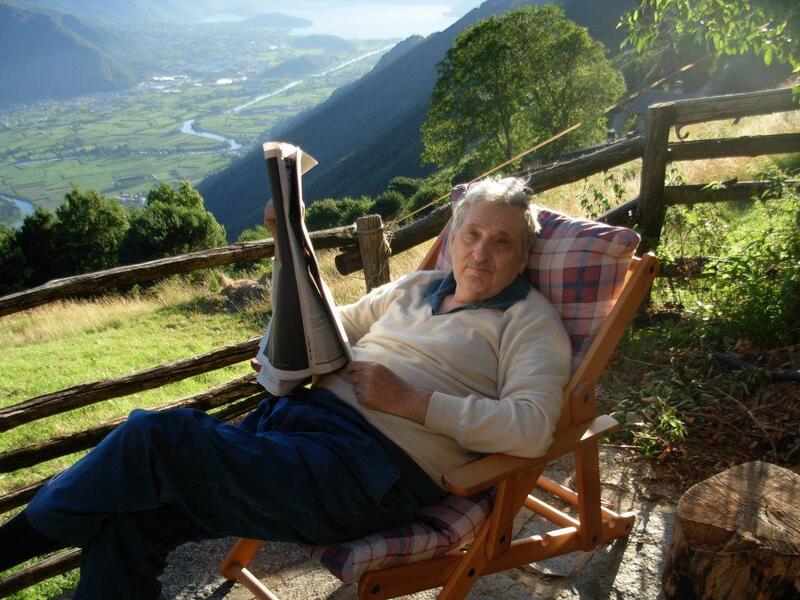 "Born “valtellinese”, adopted “milanese”, with heart and spirit in Nestrelli"
Pietro Pedeferri (1938-2008), born in Delebio, Valtellina (SO), graduated in Chemical Engineering at Politecnico di Milano in 1963. Full professor since 1983 first in “Electrochemistry” and then in “Corrosion and protection of materials”, he was part of the Board of Directors and of the Academic Senate of Politecnico di Milano, and he was appointed Head of the Department of Applied Physical Chemistry. Moreover, in 2003 he was appointed member of the Istituto Lombardo Accademia di Scienze e Lettere. He started his scientific activity in the field of electrochemistry. In 1972 he performed his research in Cambridge, at the Department where Evans and Hoar worked. At the end of the ’60s he started dedicating his activities to the corrosion and protection of metals, starting from general aspects: his interests ranged from active-passive materials, to bio-corrosion, to the cathodic protection of metallic structures and the corrosion and protection of reinforced concrete structures. In the latter field, in the ’90s he invented and set up a new method of corrosion prevention for reinforced concrete structures suffering from chloride induced corrosion that he named “cathodic prevention”, which is currently included in the European standard EN 12969 (Cathodic protection of steel in concrete) which proposes the use of diagrams named after him. The technique was applied in the repair of the Sydney Opera House. Pedeferri gave important scientific contributions to corrosion, concerning both theoretical aspects (corrosion science), and practical ones (corrosion engineering), producing appreciated handbooks that are used both in university and in industries. Since the end of the ’60s he dedicated part of his work to the decoration and painting of titanium by oxidation, with artistic sensitivity and scientific rigor, achieving extraordinary and surprising chromatic effects. For his artistic activity he obtained several acknowledgements, among which the most prestigious one is the international prize “Science pour l’art”, received in Paris in 1989 together with the mathematician Mandelbrot, known for his invention of fractals. He is author of 32 books, mostly regarding corrosion and protection of metals, cathodic protection, the durability of reinforced concrete and the electrochemical coloring of titanium. He published more than 400 works on scientific journals and national and international conferences.